I love these pots my toddler has snacks in them. I also use them to add rice puddings and custards in the fridge. Planning on using them for when I wean my daughter next week also. Amazing storage pots, so convenient and easy to clean. Such big space inside so not minimal food bring stored. Can stack and use them for all kinds of food. These have been great when we started out weaning. They were handy for making our baby’s breakfast and they have been great to transport her lunch when we are out. I a really use these pots to carry spare/clean dummies around with me as we all know we need to have them handy! It keeps them clean and safe so you don't lose them. I actually found these so helpful to bulk make meals for baby, they can be put in the freezer and are able to go in the microwave to reheat food. I actually go these in the pound shop £1 for a pack of 6 so a bargain price. I think these are great little pots. I used them when my son was about 5 months old to store purées, and I still use them now over 12 months on to store snacks when we are out and about. They wash well, we put them in the dishwasher and come out great each time. You can stack them easily for storage in cupboards. And you can put them in the microwave too! 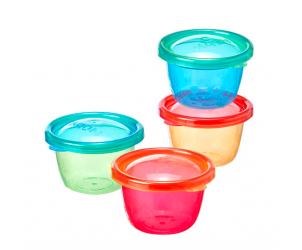 These tubs are a great size for weaning, they are perfect for storing food in the fridge or when out and about. They are colourful too! 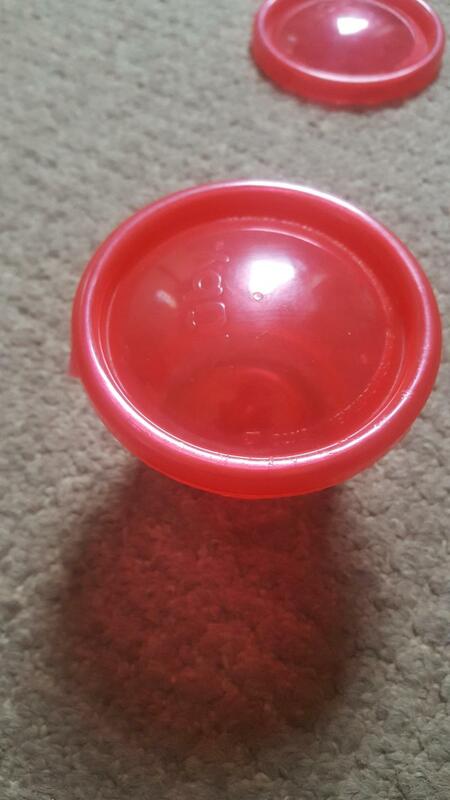 The only problem I have found is that when freezing food the lids and tubs actually crack when taking the lid off. 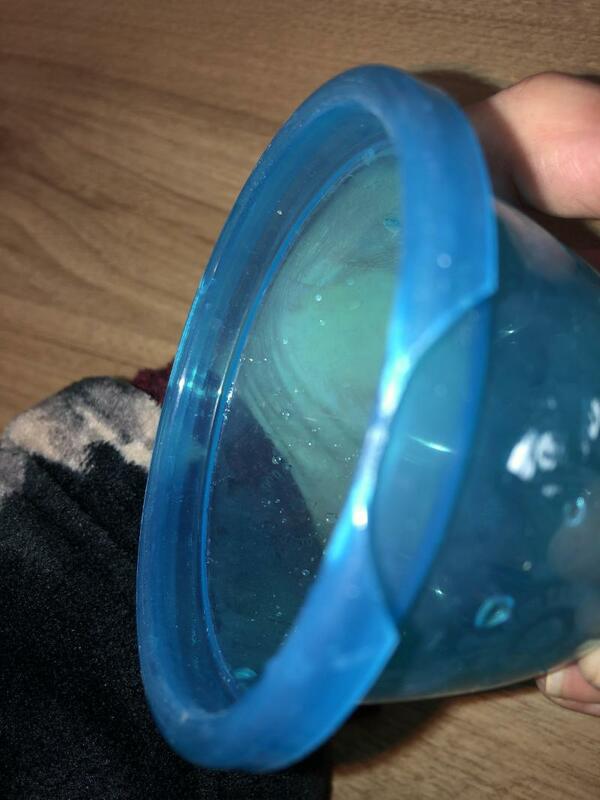 The lid also doesn’t stay on properly when frozen. See photos. Otherwise brilliant little pots. Lid won't always come off.. can take some doing!! Good little soze pots. We used for weaning, frozen meal batches and now use them for snacks when out for my 1 and 11 year old. They are bigger capacity than normal pots you come across and lid stays on!! I've thrown no end of useless pots upto now. These are keepers!! Great for batch cooking for your little one. The pots are quite big so I’d imagine they can last a long time with larger portions. I’ve onlg been using them for a couple of months. They are also very easy to wash. Perfect size for storing and freezing batches of food. Perfect for separating meals into portion sizes pre made. 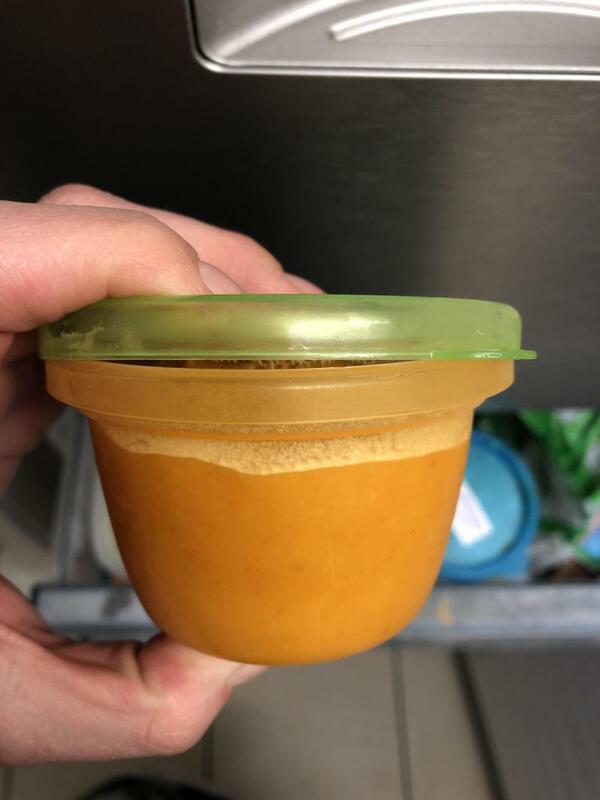 Can be used in both fridge and freezer. Only down side is kids can become brittle and once broken sharp and obviously no use once damaged. These little pots are amazing for what you use them for. Good quality, reasonably priced and a decent size! They make the perfect portion size for my little boy and make the freezing/defrosting process so easy. Would definitely recommend. Great for batch cooking your baby meals. Can freezing and use when required. Good depth for food. 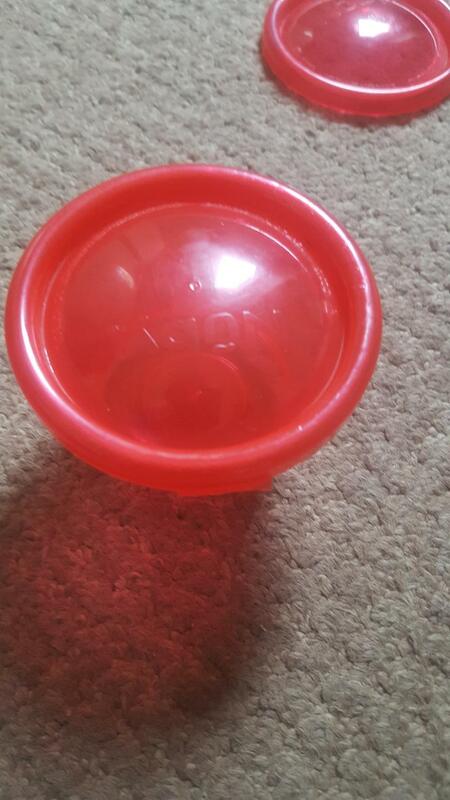 My wee one loves the different colours and enjoys playing with the lid. Love these pots had these from when son was baby.. He not 5 nearly and still got them and use them so handy to have in cupboard for lunch etc. Even have the larger pots too. Lovely size pots with lids! Great size pots for weaning - especially good for storing batch cooked purees etc for baby weaning. Also good for on the go as the pots have lids! Handy little tubs for first time weaning, also for when child is older for snacks and fruit veg. Suitable for home freezing and easy to heat up in hot water. Love the gender nutral colours aslo design on tubs. 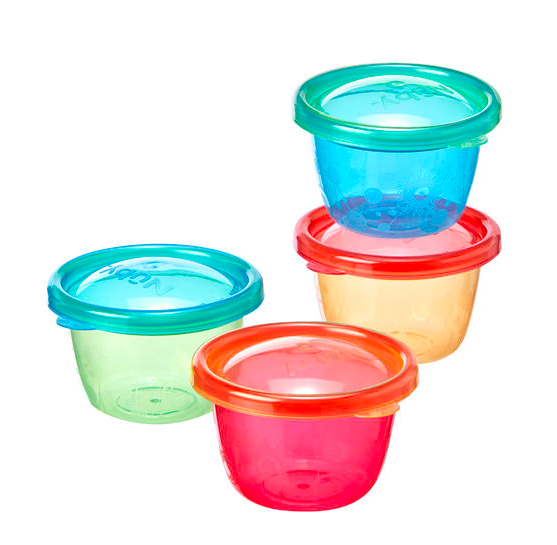 The Nuby Wash ‘n’ Toss Food Pots are a convienient solution for storing food and snacks on the go. The four pots are microwave and dishwasher safe: an essential item during weaning and beyond, to store or freeze your homemade food.